Are you getting used to a new ClassWiz calculator? There are guides, manuals and videos available to help. From The Calculator Guide on YouTube see this comprehensive playlist on the Casio Classwiz fx-99EX. For example see this introductory video on using Statistics mode to find the mean, variance and other statistical summary data. Other examples include further statistical videos such as Normal Distribution calculations, integration and differential calculations and using Complex mode. Some useful resources to help you study Correlation and Regression. This GeoGebra applet allows you to move points and watch the effect on the line of best fit. Why not try to plot the points, draw a lines of best fit and then compare your line with the computer. This works very well on a phone, use this link. Correlation coefficients and lines of best fit can also be studied with this PhET simulation on Least Squares Regression. Choose from a range of examples or choose Custom to add your own points and guess then check the correlation coefficient. You can also draw your own line of best fit and compare it to the theoretical line of best fit. Note the option to include residuals for both your own attempt and the line of best fit. We can check Regression Calculations using this Linear Regression calculator from Social Science Statistics. On the subject of correlation coefficients, we can play a game to see how well we can guess the correlation coefficient! Guess the Correlation Coefficient. For ranked data you must be able to calculate Spearman’s rank correlation coefficient from raw data or summary statistics. Again, Social Science Statistics, offers us a calculator which is useful for checking work. Calculation details provide a useful check on work. Note Social Science Statistics also has a calculator for calculating the Pearson correlation coefficient. You can use Desmos and WolframAlpha to check your work and see some excellent visual representations. As an example, we can find the total area bounded by f(x) = x4−3x3−4x2+12x, the x-axis, the line x=−1 and the line x=3. We could use WolframAlpha for a quick check. The visual representation shows clearly that we are dealing with areas above and below the x-axis. Scrolling down the page we see that this query also returns the indefinite integral. For the total shaded area, we can change the limits of the query to evaluate each section. See Calculus & Analysis for more examples of WolframAlpha queries. Or we could turn to the excellent Desmos where we can very simply change the limits. If you are unfamiliar with Integration with Desmos, turn to Learn Desmos: Integrals. Note you can explore the graph shown in the video. We could also look at this introduction to Integration on GeoGebra. An updated version of an earlier post …. STEP (Sixth Term Examination Paper) Mathematics is a well-established mathematics examination designed to test candidates on questions that are similar in style to undergraduate mathematics. For students studying for STEP papers try this excellent portal from stepmaths.co.uk which has (all free) access to STEP questions and solutions. Create an account, login and you have access to a complete library of resources. Note that you can also download a copy of Stephen Siklos’ Advanced Problems in Mathematics and Core Mathematics. Advanced Problems in Mathematics is excellent preparation for ANY undergraduate Mathematics course. Underground Mathematics has STEP questions within their Review Questions. Each question comes with a full worked solution. See also, from Cambridge University, their STEP Support Programme. And from Nrich, Prepare for University. See also, a related post 16+ Challenge Questions. Also, Multiple Choice Questions which includes Oxford Admissions test questions. Try Graspable Math which offers a highly innovative interface for mathematical notation. You can read the Graspable Math story here. We can also illustrate the solution graphically by inserting a graph to open a GeoGebra window. Why not try Factris? This is a new App published in July 2017, developed by Richard Lissaman, of MEI. For students going on to A Level then the best thing you could do is use OCR’s brilliant guide for students Bridging the gap between GCSE and AS/A Level Mathematics – A Student Guide. With sections on Algebra, Trigonometry and graphs including examples, question practice on key topics and suggested reading before starting the A Level this will be so valuble for students. Note that all these Math Open Reference demonstrations are available as a printable atep by step instruction sheet, see for example the guide to bisecting an angle. The AQA specification also includes a note that Constructing a 60° angle is required. This is shown here by constructing an equilateral triangle. ​Students will be asked to use these constructions to construct given figures and solve loci problems. Students should also know that the perpendicular distance from a point to a line is the shortest distance to the line. The constructions shown here are all from the excellent Math Open Reference by John Page. (There are many more constructions given on the site which are not a GCSE requirement). Another very useful source for demonstrations comes from BBC Bitesize on Loci and Constructions which gives step by step diagrams and instructions. 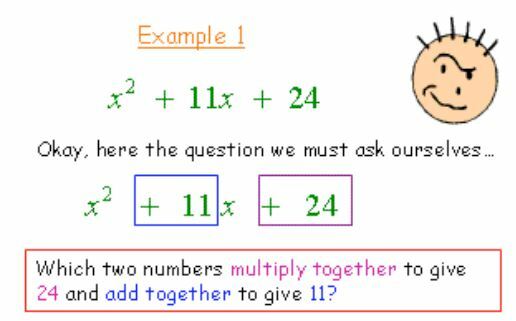 The BBC site also has clear examples of solving problems using constructions.